1) Preheat the oven to 200°C. Place the tomatoes on a baking tray, then drizzle with oil and season with sea salt flakes. Roast in the oven for 15 minutes or until blistered. 2) Meanwhile, cook the penne in boiling salted water according to packet instructions. 3) Drain the pasta. While it is still warm, mix with the pesto and season with freshly ground black pepper. 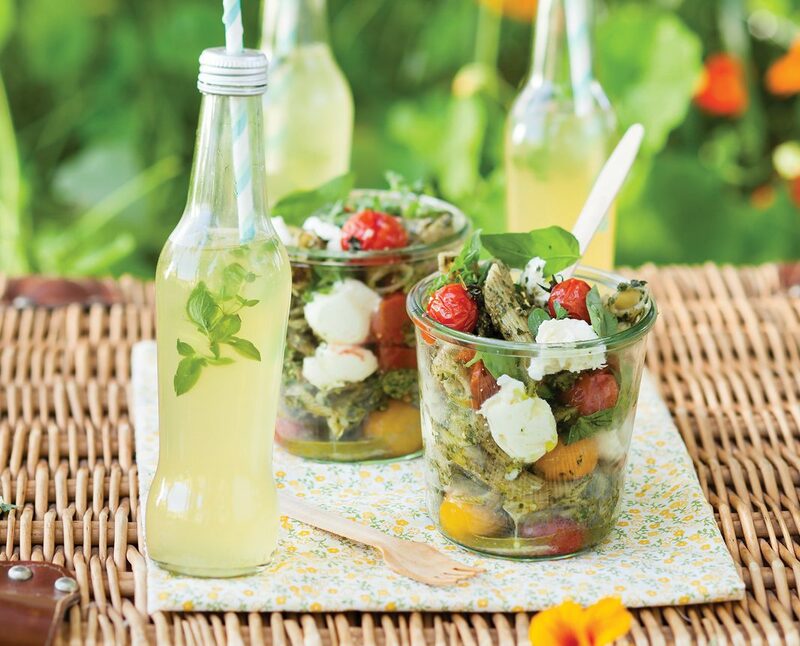 4) Layer the pasta, tomatoes, bocconcini and herbs into 4 jars and seal. Serve at room temperature. 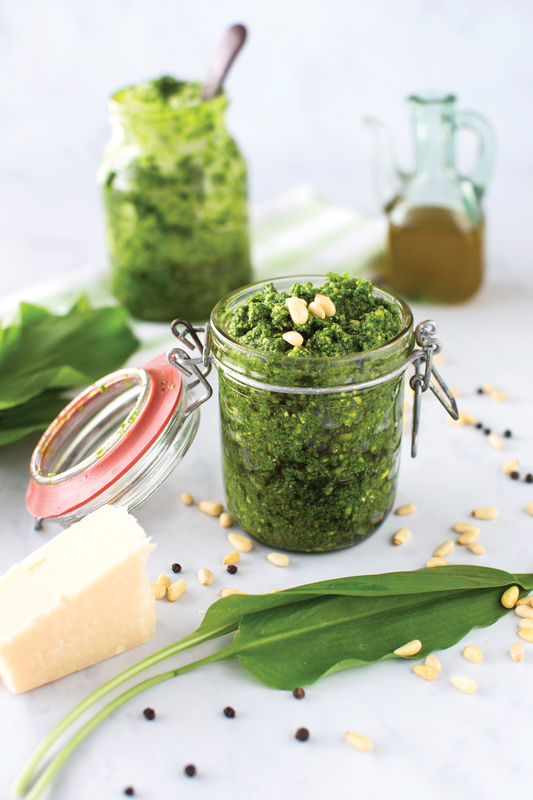 1) Place the pine nuts, cheese, garlic and herbs in a food processor and process until smooth. 2) While the machine is running, add the oils in a steady stream. Mix until combined. Season to taste with salt and pepper. 3) Spoon into a jar and top with olive oil. Store in the fridge for later use.